This cake was for my husband's family golf tournament. It was one layer chocolate cake and one layer yellow cake with buttercream filling. 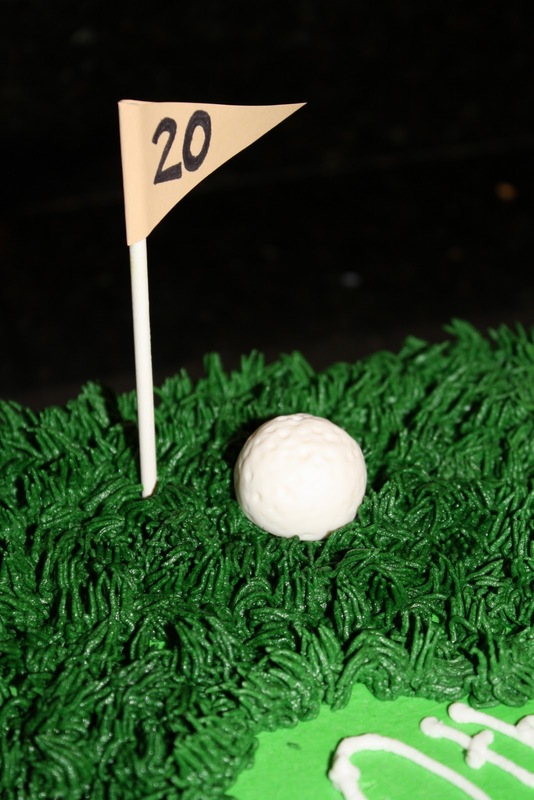 The sand trap is graham cracker crumbs and the golfball is gumpaste. Fore!